Ray's Light | Cover Story | Style Weekly - Richmond, VA local news, arts, and events. 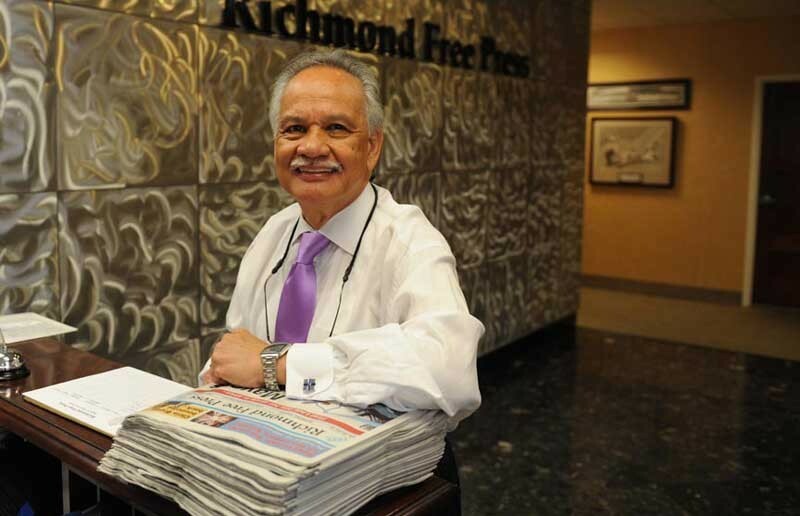 Ray Boone, in the Richmond Free Press offices at Fifth and Franklin streets, has a podium in a back office for angry readers to vent. "Initially, we would have people come into the lobby and scream," he says. "And I would say, 'A little louder!'" Just beyond Ray Boone's living room window, a police officer ventures into the front yard at the urging of a handful of 20-something protesters. After a week of virtual absurdity, neighborhood meetings and around-the-clock consternation from Mayor Dwight Jones and his lieutenants at City Hall, Ray Boone breaks into a wide grin. It would be easy to dismiss his invitation to the Occupy Richmond movement to set up camp on his front lawn as a publicity stunt or a personal grudge against Jones, who lives next door. Boone is a complicated man, prone to outrageous declarations of injustice, after all. But he's also a teacher. More than a few eyes will roll when Boone elevates punkish, college-aged hipsters with civil rights lions. He ascribes to the protesters, who are mostly white and at least two generations removed from desegregation, a role as modern-day patriarchs, the heroes and heroines, following in the same footsteps of Frederick Douglass, Martin Luther King Jr., Abraham Lincoln and Thurgood Marshall. Boone was there during Massive Resistance, through the 1960s, as editor of the Richmond Afro-American, fighting against the wide reach of the Byrd machine, which dominated state politics under then-U.S. Sen. Harry F. Byrd Sr. He also was there in the 1960s, shopping at the Miller & Rhoads downtown on Christmas Eve, where he seemed to always run into Gov. Mills Godwin. Gawking customers saw one of the most powerful white men in the state conversing politely with the black, bulldog editor of the Afro. "Both of us would be looking for Christmas presents for our wives," recalls Boone, 73. "So [Godwin] would be there with two state troopers. The first year they didn't know what the hell was going on. So the governor and I would have a conversation, about 15 minutes — you know, talking about things. And then the second year, the same place almost, on the first floor of Miller & Rhoads, the same cops, the same officers saw me and saw the governor approaching each other. They said, 'Oh God, a delay.' You know, it's Christmas Eve." "I said, 'Gosh, I just don't know how you can rationalize that knowing that it's wrong.'"